Suzzette Metcalfe. Photo by Cari Taylor-Carlson. Maybe because she discovered a passion for baking as a kid, one of her many favorite things to make at The Pasta Tree is cheesecake, especially the Vanilla Cheesecake served with a fresh fruit salad. She also makes a mean Tiramisu and her Nemesis Chocolate Cake is legend. As are many chefs, she’s inspired by her travels. That’s where ideas sprout for new dishes, or sometimes they come from perusing travel, food, and cooking magazines. “I have to be inspired all the time,” she says. Metcalfe recounted a few memorable meals that evoked her love of family, great food, and her extensive travels. She spoke of an awesome meal at The French Laundry in Napa; tableside shaved white truffle at Spiaggia in Chicago; the dishes she created from a hundred and twenty pounds of halibut which she caught in Homer, Alaska; and Easter brunch with her family when everyone worked together in the kitchen. When she eats out, Metcalfe’s favorite local restaurants also reflect her love of travel. She like the Vietnamese cuisine at Hue, the Cajun specialties at Maxie’s, and for pizza she will travel a few blocks north on Farwell to Zaffiro’s. A career in the food industry wasn’t far off the mark as her grandparents had opened Metcalfe’s Sentry in Butler and Metcalfe grew up working every part of the store including the deli. 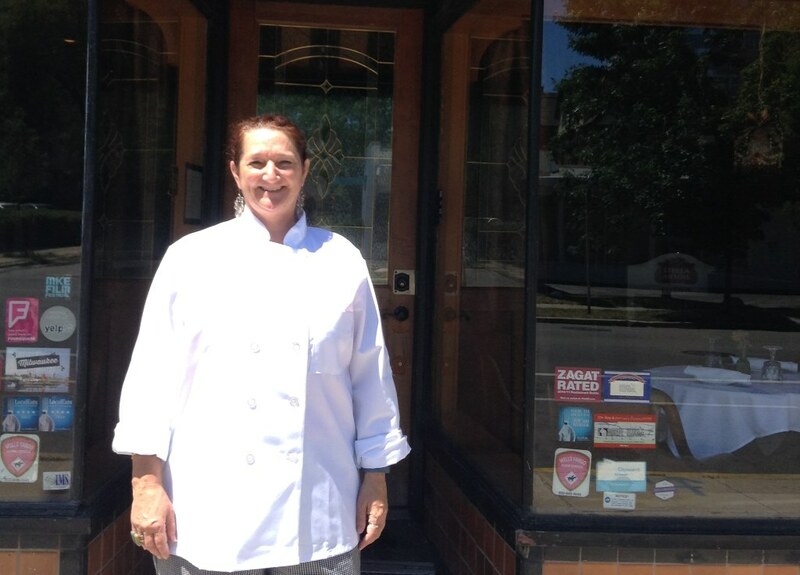 After three years, she moved on to other Chicago restaurants including Marche, a French brasserie, where she was awarded Best Chef in the Midwest by the American Tasting Institute. Meanwhile, her dad opened a restaurant, The Rusty Harpoon, in Maui. “He wooed me,” says Metcalfe. While she pondered another major life change, she worked again at The Pasta Tree for a few months. With that irresistible Hawaiian lure on her plate, Metcalfe said “Yes” and moved to Maui where she worked at her dad’s restaurant for thirteen years. After he passed, she kept the restaurant going until the economy went sour in the early 2000s. Back in Milwaukee, she found work again at The Pasta Tree until 2008 when she jumped in all the way and purchased the restaurant. As an owner, she doubled the seating capacity, added a second room with a bar, and renamed the tiny patio behind the restaurant, The Secret Garden after a favorite childhood book. In honor of the thirty-fifth anniversary of The Pasta Tree, Metcalfe has begun a cookbook that will feature recipes and stories gathered from thirty-five years of Primi, Secondi, Specialties, Contornos, and Dolce at 1503 N. Farwell.